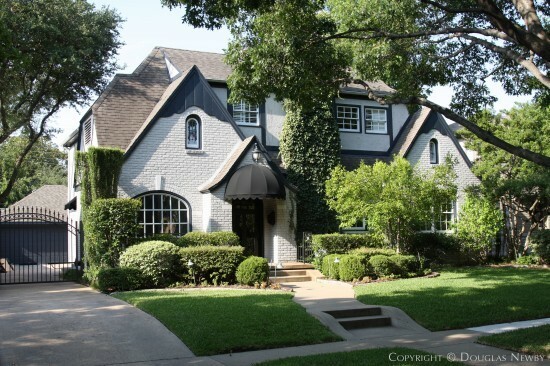 This classic 1929 Highland Park home for sale has the same architectural distinction as the Highland Park estate homes nearby. An elegant floor plan of open rooms, banks of double-hung windows providing lots of sunlight, and a master bedroom on the first floor allow a large playroom, office, and laundry room on the second floor that includes three more spacious bedrooms. A renovated kitchen with marble counter tops accommodates a large breakfast table and opens to the informal living room. 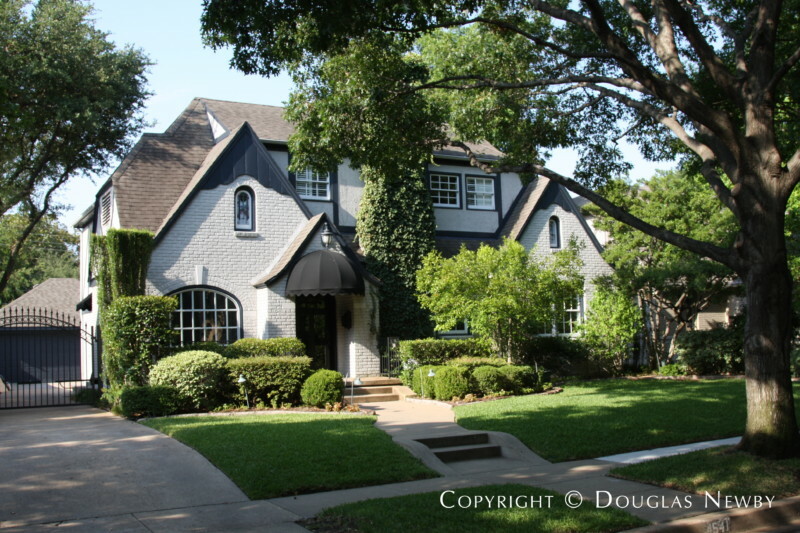 You will find this totally redone original Highland Park home with hardwood floors and Highland Park architectural details in the middle of a great block of towering trees and good looking homes filled with families and children. Here in Highland Park you will enjoy the neighborhood parks. You will love the two-block walk around the corner to Fairfax Park or just down the street to Flippen Park, often thought of as Versailles Park. 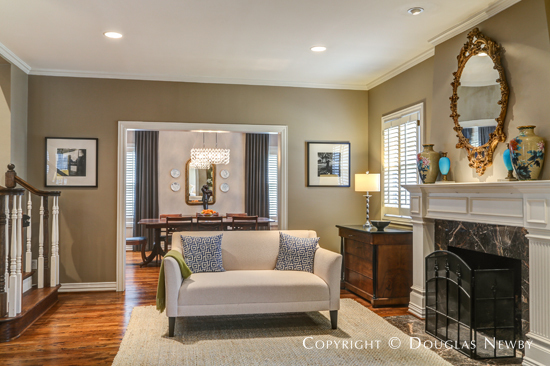 Much larger homes in Highland Park often don’t have a dining room as commodious as this 16’ dining room for large gatherings of family or friends. And the dining room has wide double passageways to the formal living room that is open to both the sunlight-filled sitting room and the informal living room. 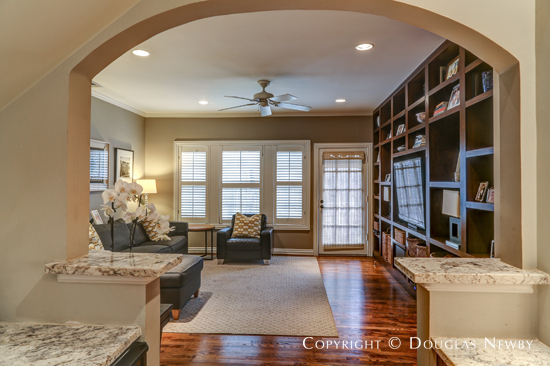 This home with 3,647 square feet is a perfect home to formally entertain many guests or casually relax in a home that is comfortable and charming. Sight lines into many rooms, sunlight pouring in from many directions, a setting that is inviting to guests, spaces for personal retreat and a location on a tree-lined street that is close to parks are just some of the elements of this homes that are sure to make you happy living here.